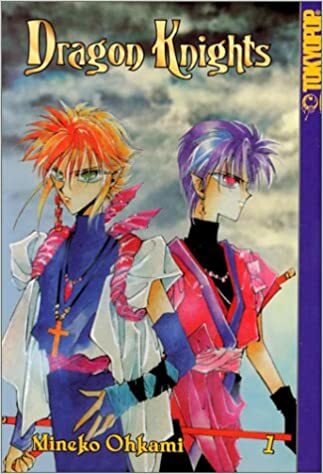 Yen and Jin Ragun are in elementary school, but as heirs to a family of Gakushi—people who work with spirit partners to fight beings called “maga”—they are always ready to take care of supernatural problems. Names have power, and to win maga battles, they have to figure out their opponent’s true name before it figures out theirs. With Yen’s intelligence and Jin’s enthusiasm, they’re a good match against most opponents. But as a new threat arises from a group that controls maga and Yen begins to dream of other worlds, will these skills be enough to stop growing dangers? 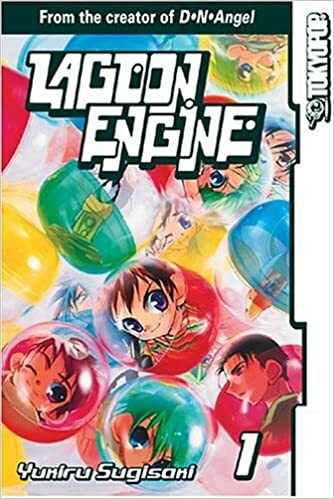 Lagoon Engine focuses on the two brothers solving supernatural problems and their own sibling conflicts that crop up from personality clashes. With other Gakushi appearing to assist, a mysterious cousin, and school friends, the series has a quirky cast of characters and an engaging mystery of just what is going on in the Gakushi world. Rath, Thatz and Rune, three Knights of the Dragon King are on a mission to deliver the Demon King Nadil’s head to their king before his demon army can recover it and revive their ruler. This would be a simpler task if they could keep on task. But with Rath’s obsession with fighting demons, Thatz getting distracted by money and food, and Rune’s tendency to get caught up in trying to corral his partners, their task might take a while. As demons send a witch’s daughter, Cesia, to lead them astray, the Dragon Knights are quickly caught up in the power struggle of trying to stop the return of the Demon King. Dragon Knights starts as a somewhat comedic series of bumbling knights on a quest and evolves into a web of character interrelations as each knight’s backstory gets explored, and the war between Demons and the Dragons is expanded on. The series loses most of its comedic tone as it goes on, but it gains a good deal of interesting mysteries and intricacies to make up for it. It’s a good fantasy series that holds up to rereadings. Jenna is a shelver at our Middlefield Branch. You can read more of her Manga Spotlights here.